So, over at True Up, there’s been a giveaway running for those who submit their lists of favorite fabrics in 2009. For some reason I didn’t feel like I had anything intelligent to add to the discussion until AFTER I started reading everyone’s submissions. While I totally missed the contest, after reading the lists of others, I just have to chime in for the fun of it. This is a tough one for me. I have two. The first is Rouenneries, by French General for Moda. 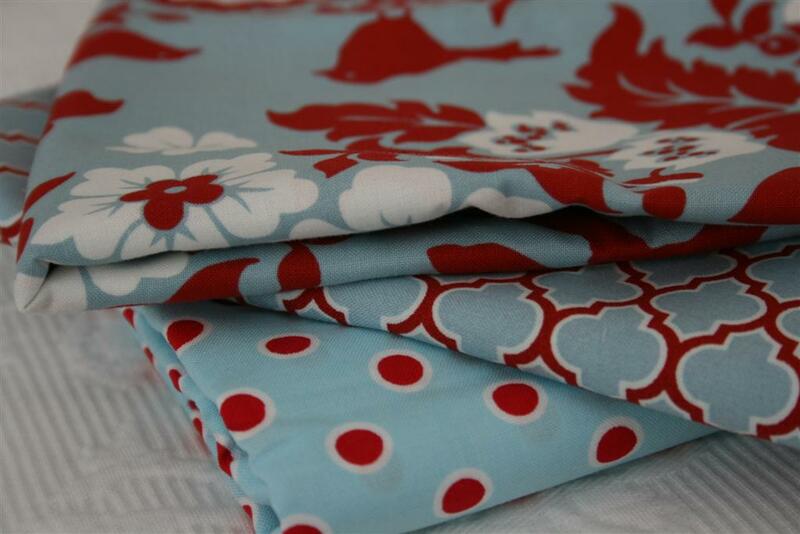 I LOVE, LOVE, LOVE this line of fabric. For the first time in my life, I wanted a piece of EVERY print in a collection. I already raved about it here. My second favorite fabric line of the year was Whimsy by Pillow & Maxfield for Michael Miller Fabrics. I bought a ton of it in the pink colorway for my baby’s blanket, and designed a quilt for my niece in the emerald blue colorway. This was just so vibrant, I loved it. And did you know they just released the large whimsy prints in a new colorway at the beginning of January? In aqua and chocolate brown? Hello! But I digress, for this is 2010, and I’m talking about 2009. Favorite new designer: I’d have to say Kaari Meng/French General. I’ve been watching her for a couple of years now, and was super excited to see her first fabric line. Favorite Solid fabrics: Kona Cottons by Robert Kaufman. Love the variety. Just wish I could find a local shop that carried a good selection of them. 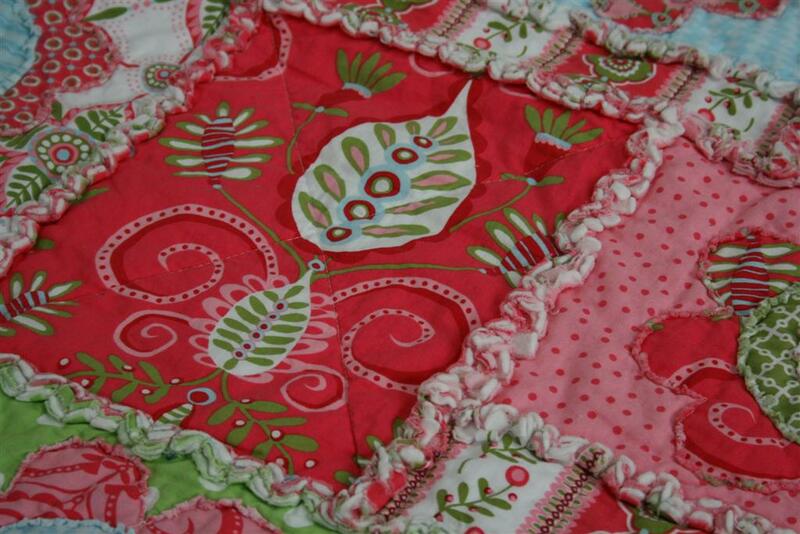 Favorite new trend in quilting: Ok, some might think this is on the edge, and to some it might be old, but to me it’s new. Selvage quilting. You can learn about it here. 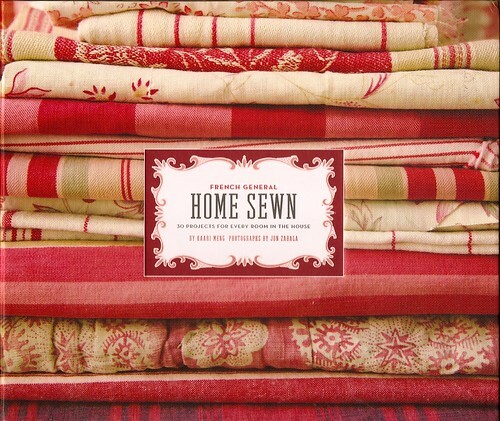 I’ve always wished I knew what to do with the cute selvages when I cut them off, and now I wish I had them all back! I’m collecting mine for some fun after I’ve got a good stash. I want to make a spiderweb quilt like this one. At least I discovered this in time for the neatest selvages ever, again from French General. I LOVE the little design on each one. Favorite colors: I’ve been on this one for a few years now, but I’d still have to say aqua, white, and red. Oh, how I love these colors together! Most of my house is painted a shade of aqua. I never get tired of it. 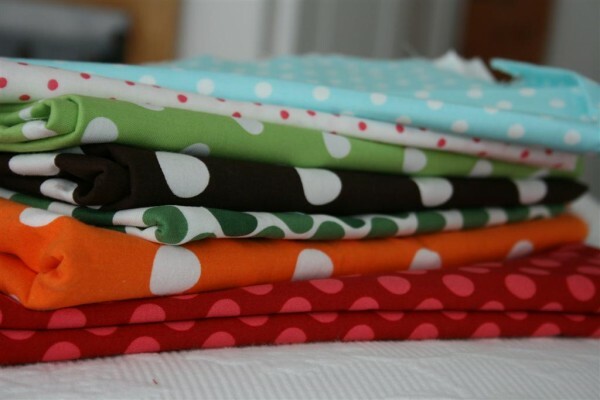 And if you want to see an adorable blog in all these colors, check out Camille Roskelley’s blog. You’ll be happy if you do. Favorite go-to fabrics: Polka dots. I’m loving them as much today as when I first fell in love with them. Favorite holiday fabric (that I didn’t buy ANY of): Spooktacular by Sanae for Moda. What was I thinking? Oh yeah, I had a newborn baby then. I guess that’s a good excuse. Favorite out-of-the-ordinary collection: Authentic by Sweetwater. 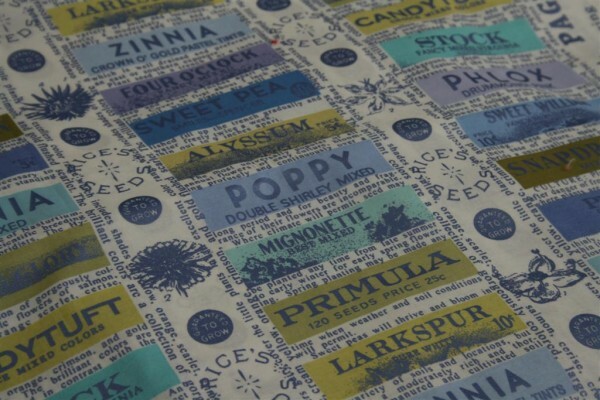 I was really drawn to bolts of fabric with dictionary type pages printed on them. I liked how unusual it was. Favorite random print that I just loved: Flower Power stripe in Heron blue by Lakehouse. 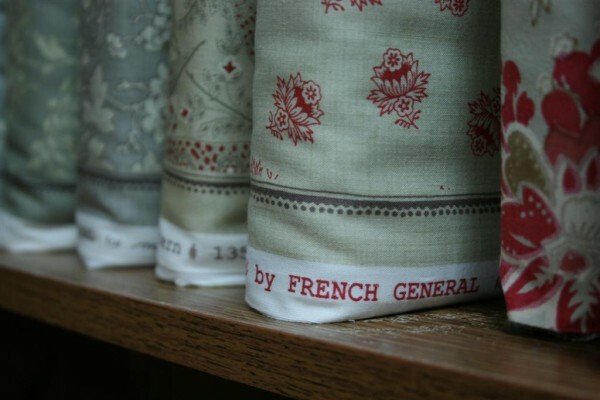 I went on a huge hunt to find some of this fabric. Can’t wait to use it! 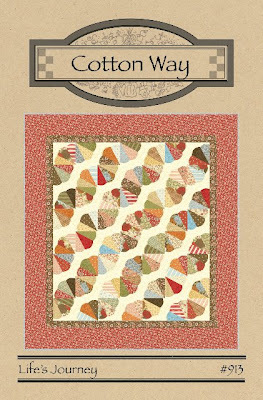 Favorite new quilt pattern that made me catch my breath: Cotton Way’s Life’s Journey (which I haven’t bought yet, but really want to). I saw it first on True Up’s post here. Ok, I’ll stop there. I can’t believe how much I found to love of the 2009 fabrics, even with how out of the loop I felt due to adding baby #8 to my life. I’m sure 2010 will be just as wonderful! 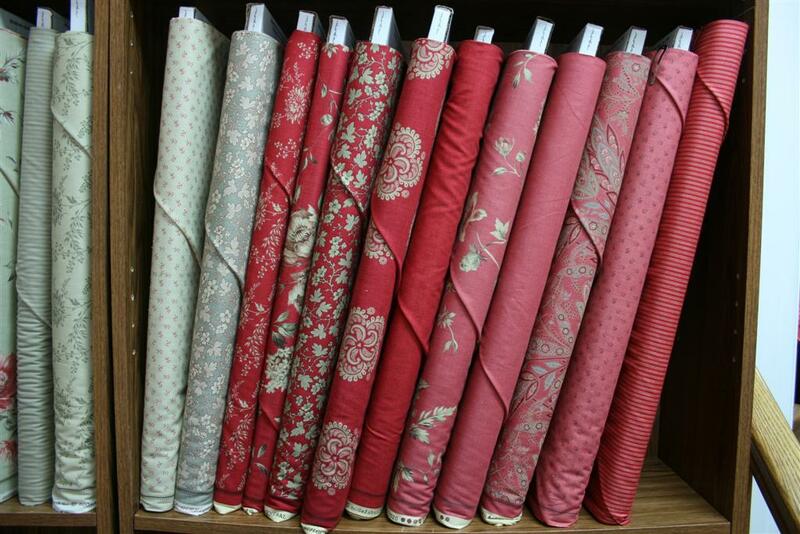 Love all of these fabrics…oh, so delicious! Where do you get your fabric at?